When you come for a visit to Alaska, odds are it’s not so you can sit in a hotel room and watch movies. No, you come to breathe that Alaskan air! You come to look out at the water and see nothing but blue skies and blue waves. You come to take in your surroundings and become one with nature. Perhaps you even come to catch that big fish you’ve always dreamed about. Whatever your reasoning for visiting Alaska, Anglers Adventures & Outfitters is here to help those goals and dreams come to fruition. Lots of people we meet love the idea of chartering one of our longer adventures but have one doubt or another. It may be that you have little fishing experience and do not necessarily want to commit to a full-day or multiple-day charter; or you may be uncertain about whether or not you will like it enough to justify the expense of a full day or multiple day charter. If you have any questions or uncertainty about a longer excursion, a half-day charter is the perfect way to get the flavor of what a charter fishing excursion is all about. Maybe you have had the experience of being out for a hike and being surprised by a moose. Or an elk. Or a porcupine. If you are really lucky, on one of those hikes, you have happened upon a bobcat or even a mountain lion. The experience of being in nature and expecting only to enjoy the weather or the fresh air, but then being surprised by the unexpected appearance of one of those creatures is humbling. It is also safe to say that most people who enjoy spending time in the outdoors have had an experience like that. 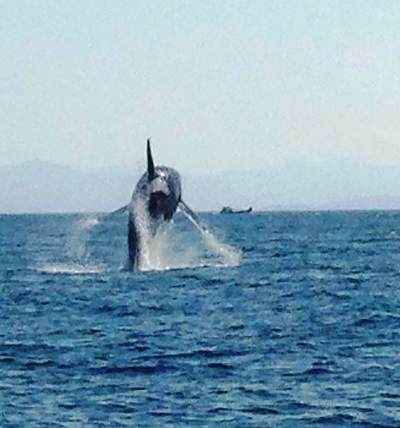 What most people who love the outdoors have not experienced, however, is the sighting of a whale. If you are humbled by the sighting of a mountain lion or even a grizzly bear, the discovery of a whale will not only humble you, it will cause your chest to swell with awe. An Alaskan cruise is one of the top vacations that people all over the world seek out. There is so much to do in Alaska and so much to explore on the Alaskan waters. At Angler’s Adventures & Outfitters, we only aim to heighten your experience. 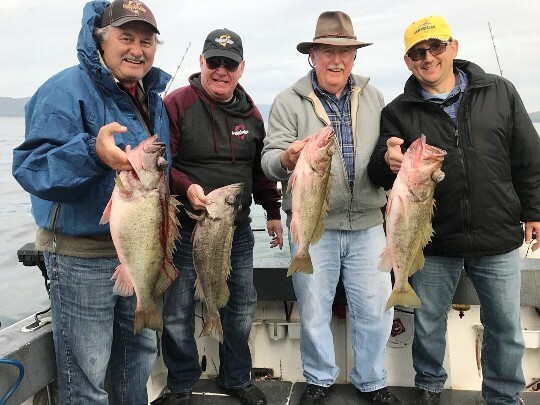 Angler’s Adventures & Outfitters is a cruise ship approved Alaskan fishing guide experience that allows each passenger to make the most of the beautiful Southeast Alaskan ocean. 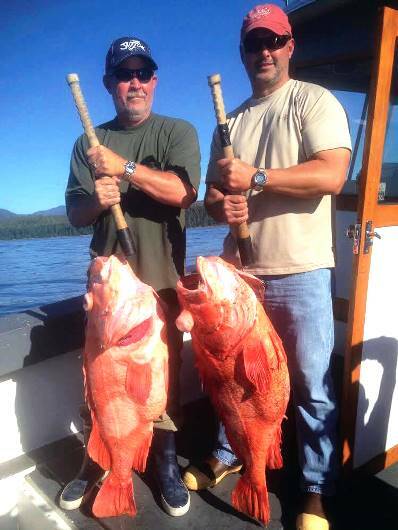 If you want to get the most out of your Alaskan cruise, a private, guided Ketchikan fishing charter is a must. Have you finally decided to act on the bucket list fishing trip that you’ve always dreamed of? After all, you only live once, so why put this amazing adventure off any longer? 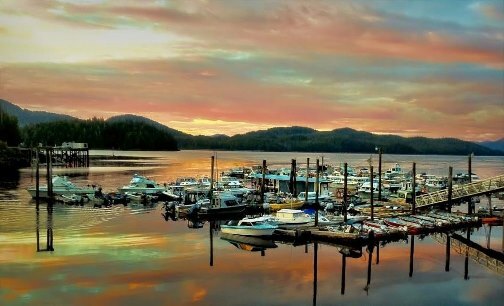 When it comes to your bucket list, there’s no better place to fish than the waters of Ketchikan, Alaska. Known for incredible wildlife and undeniable beauty, Ketchikan, Alaska has become one of the most desired stops for Alaskan cruise ships. The port of Ketchikan welcomes tourists who want to enjoy the best that Southeast Alaska has to offer including day excursions for fishing, whale watching or simply take in the sights. 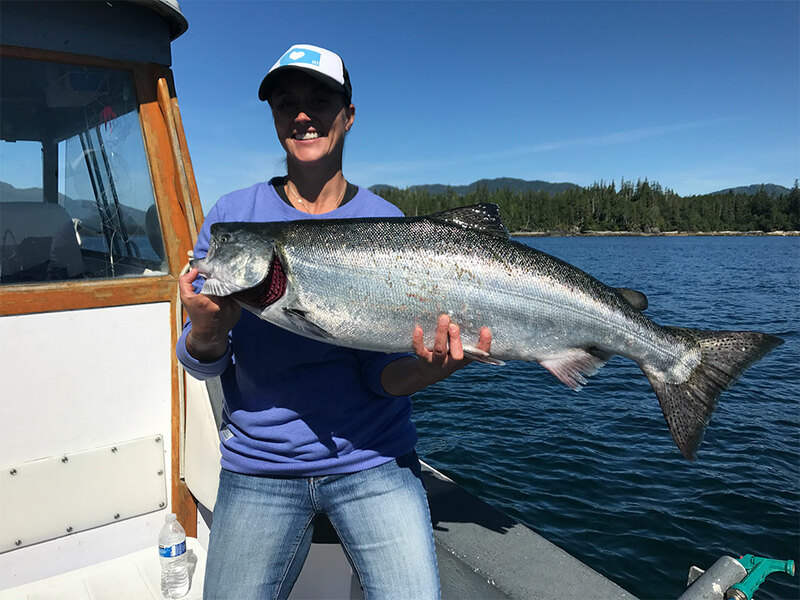 Anglers Adventures & Outfitters provides top of the line experiences that can be customized to maximize your time in one of the most beautiful places on earth. 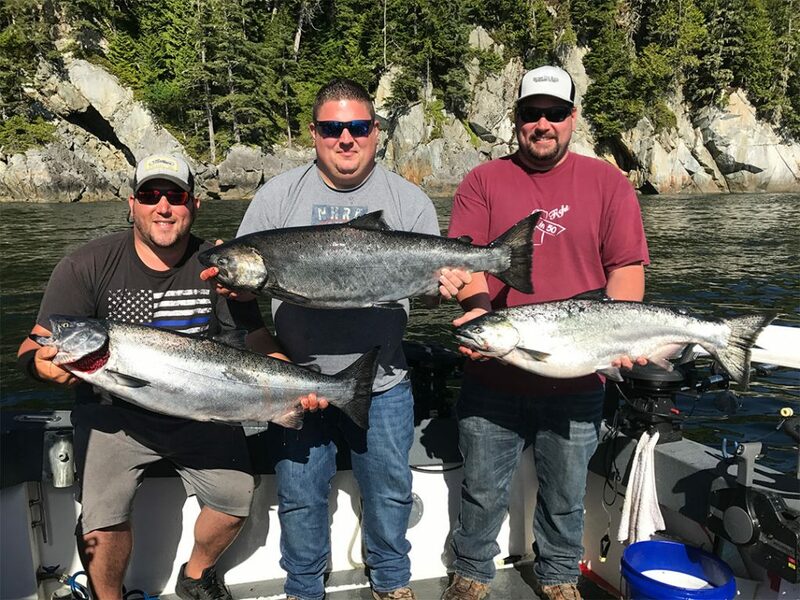 How Much is a King Salmon Fishing Trip? © 2019 Anglers Adventures & Outfitters. All Rights Reserved.